Being a generalist is my specialty–people hire me to take care of the little things. 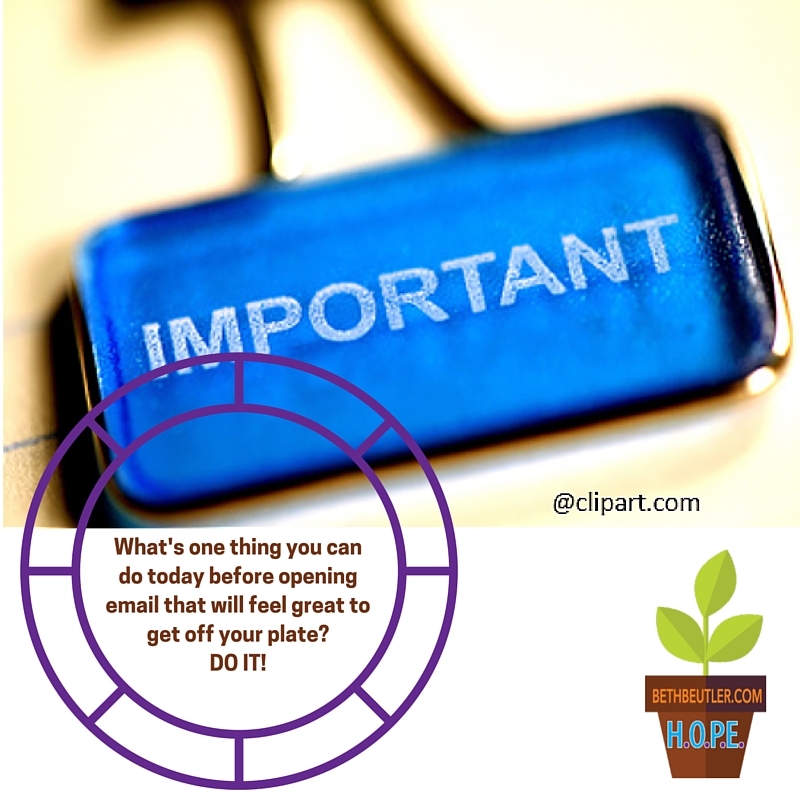 As a Virtual Assistant and business owner, I have a myriad of little tasks each week to keep up with, for my clients and myself. Although I help overwhelmed professionals excel, I can feel overwhelmed too. So what’s a busy pro to do? On the day I wrote this, I was booked to teach the first of a summer lunch and learn series for a local company. My comMITment to them was the most important thing for that day. Yes, I had a list of other things to do, but my mind needed to be primarily focused on serving that group well. Since that comMITment did not take the entire day, there were other important things I could plan for. Things like: wrapping up details from another speaking assignment. Investing in some VA client work. Taking some time for myself and a current hobby. Conveniently some of these could take place in the vicinity of that company, and after I was finished with the presentation. However, the concept of the MOST important thing still applies. The other things I mentioned didn’t HAVE to be done that day. But my comMITment to that company was the priority. 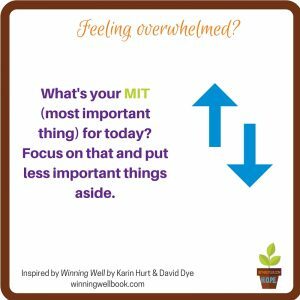 So I challenge us all, especially when feeling overwhelmed, to narrow down to the one MIT for the day, and work the rest of your responsibilities around it. *I am privileged to be the Virtual Assistant for Winning Well. I can tell you without bias that their book is excellent. Like this? Right click to save and share.